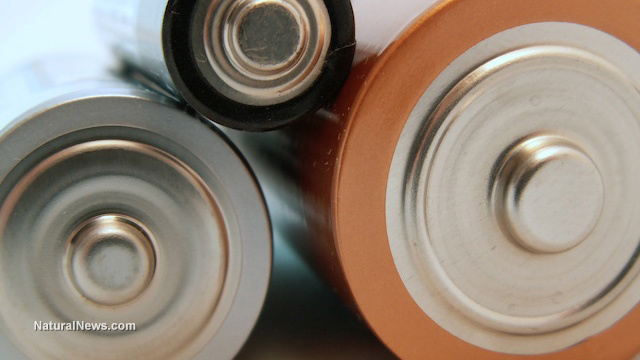 Are you chucking used batteries in the trash? Are you aware that they take two million years to decompose? (NaturalNews) The average person generates around 4.3 pounds of trash per day – and you might be surprised at just how long it takes for it all to decompose. A recent litter cleanup campaign in Britain revealed that many types of trash take a lot longer to break down than most people might imagine, reported the Daily Mail. For instance, volunteers cleaning up a section of the A48 roadway in the Forest of Dean region near Gloucestershire, England, found "crisp" (potato chip) packages that were 33 years old, but which looked as if they had been thrown out of a car window within the past week. The truth is that many of the things we throw away – much of it packaging for products we use once – can take a lot longer than that to decompose. In fact, as noted by the Mail, some items will still be around for hundreds, thousands, or even millions of years. The items we casually toss into the trash (or god forbid, out of the car window) can vary enormously in terms of how long they take to break down. Apple cores, for example, will decompose within a few weeks. Newspapers, paper bags and paper napkins may be gone after a month or so, depending on conditions. Cereal boxes, cardboard, banana peels and milk cartons may take up to several months to decompose. Cotton clothing can take anywhere from one or two weeks to six months or more to break down, while light wool can take six months. Heavy wool items can last for several years, but since wool is a natural substance, its components cause no long-term damage to the environment and actually enrich the soil. Other items that take longer, but which are still usually gone within 10 or 20 years, include cigarette butts and plastic bags. Once again, much depends on conditions such as weather and where the items end up. For example, plastic placed underground decomposes more slowly than that which is exposed to the elements. Many nylon items, such as carpeting, clothing and disposable diapers, take around 30 to 40 years to break down – although in certain conditions they may be around for an estimated 500 years. Tires, tin cans, leather and styrofoam typically last for 50 years or so, but metallised plastic bags such as those used for potato chips can last as long as 75 or 80 years. So far, the listed items are ones typically broken down within 100 years, but there are plenty more that will be around for a lot longer. For example, plastic six-pack ring holders can last anywhere from 100 to 450 years, while the aluminum drink cans they contained may last 200 years. Both can pose threats to wildlife that may become trapped or entangled in them. Aluminum cans should always be recycled, and six-pack rings should be cut with scissors before discarding so that no animals can become trapped in them. Those plastic bottles so many of us thoughtlessly use and toss on a daily basis may last 500 years – and even when they break down, they are never fully biodegraded. If you care about future generations, you should stop buying plastic bottles, or at the very least make sure they are recycled instead of tossed in the trash. Glass bottles and jars will last for more than one million years, and although not toxic to the environment, broken glass can be a hazard to humans and wildlife. Therefore, glass should also be recycled whenever possible. Last on the list – but certainly not least – are batteries, which contain toxic chemicals such as lead, mercury, zinc oxide and cadmium that remain in the environment virtually forever. Be sure to always recycle batteries – never throw them into a normal trash bin. With a bit of effort, you can reduce your "trash footprint" – the key is to "reduce, reuse and then recycle." Consuming less to begin with is a good start; we don't really need a lot of what we regularly consume. Then, through reusing, re-purposing and finally recycling, you can substantially lower your trash output, placing less of a burden on an already overburdened environment.